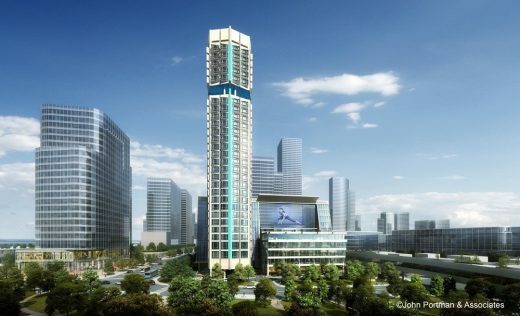 Shenzhen has been growing rapidly since being named a ‘special economic zone’ in 1980. 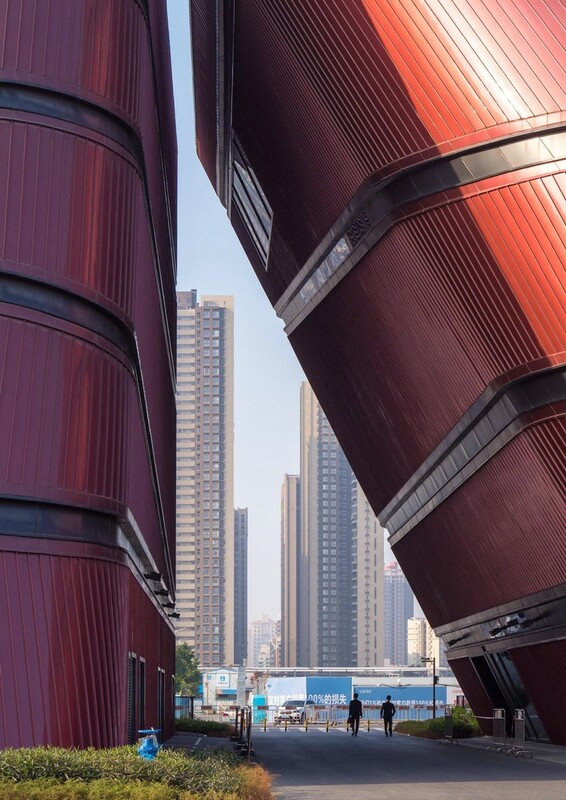 High-rise structures have transformed the city’s skyline as its population has grown to over 12 million. 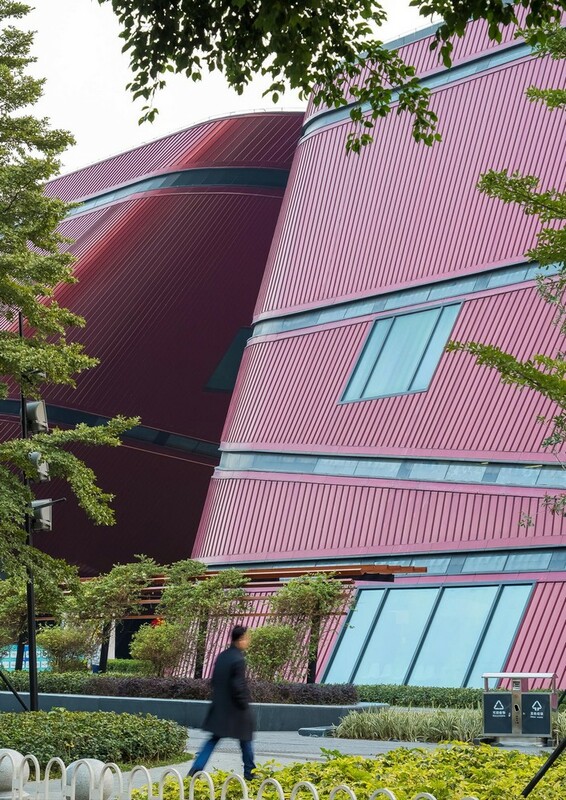 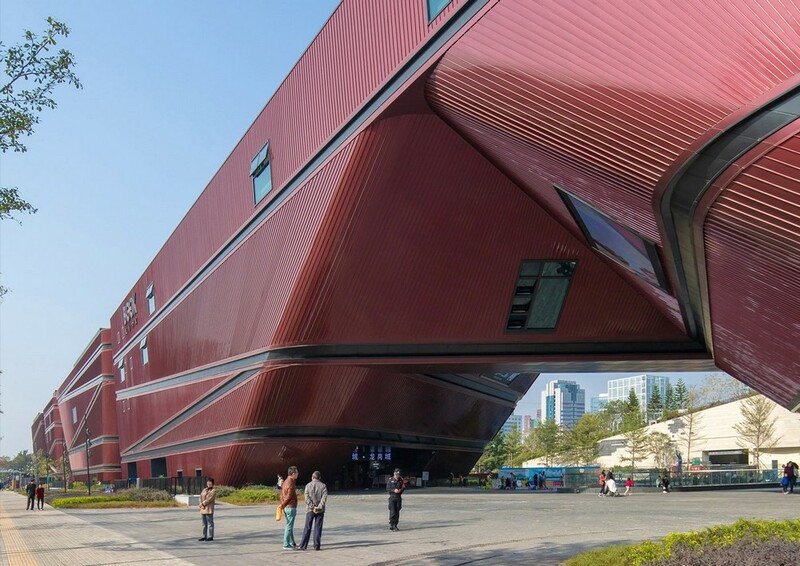 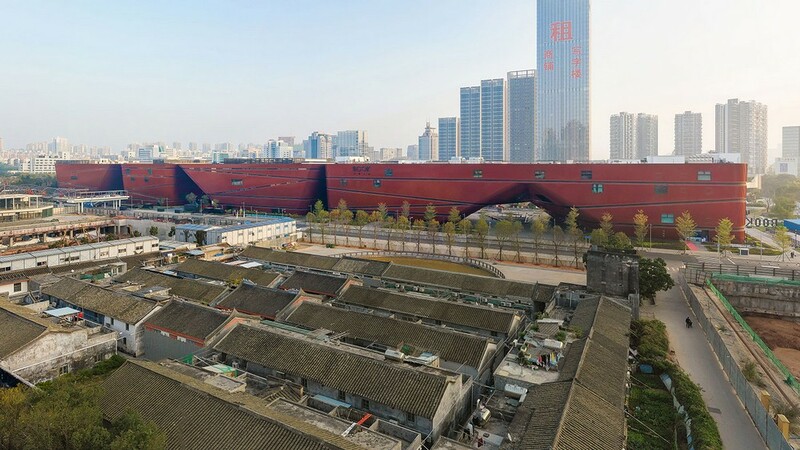 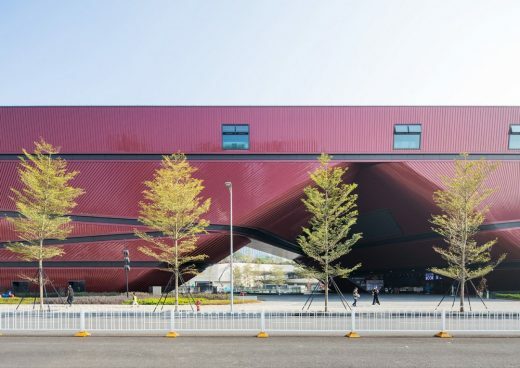 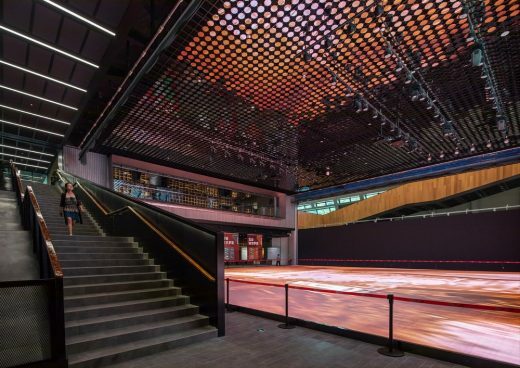 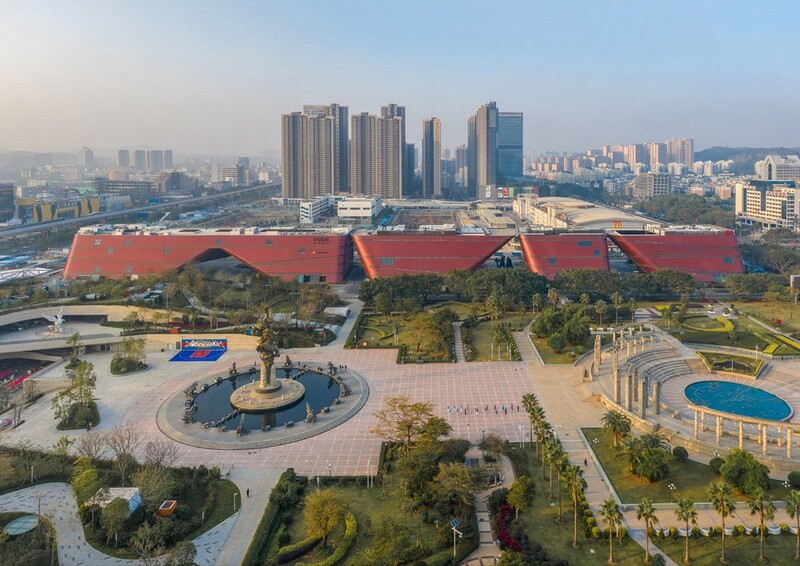 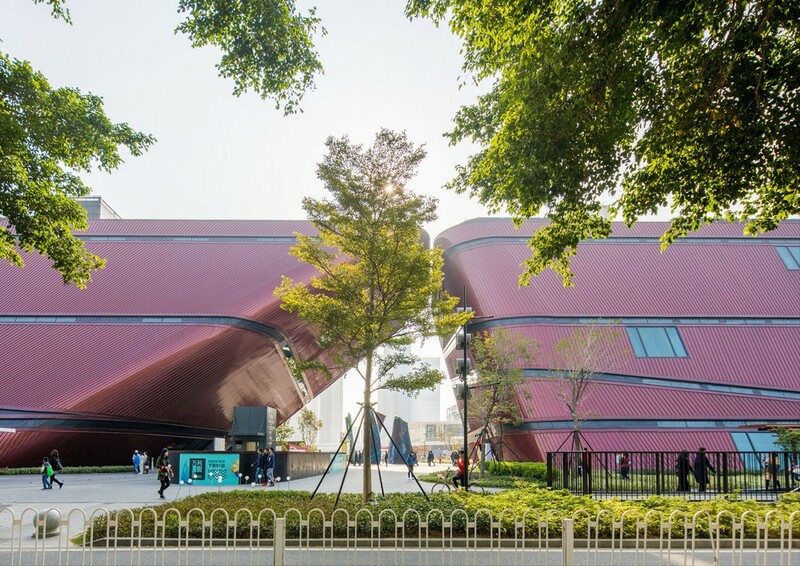 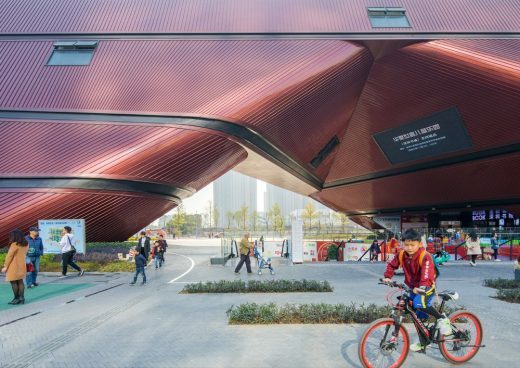 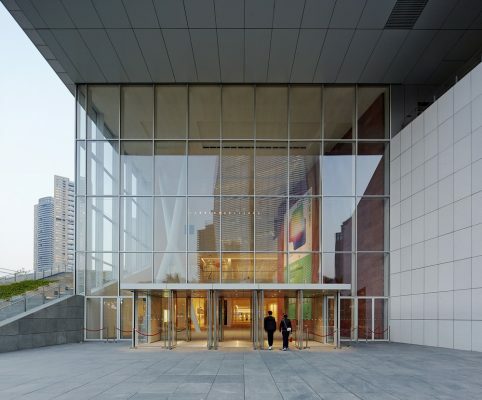 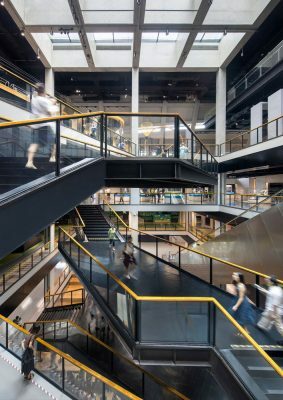 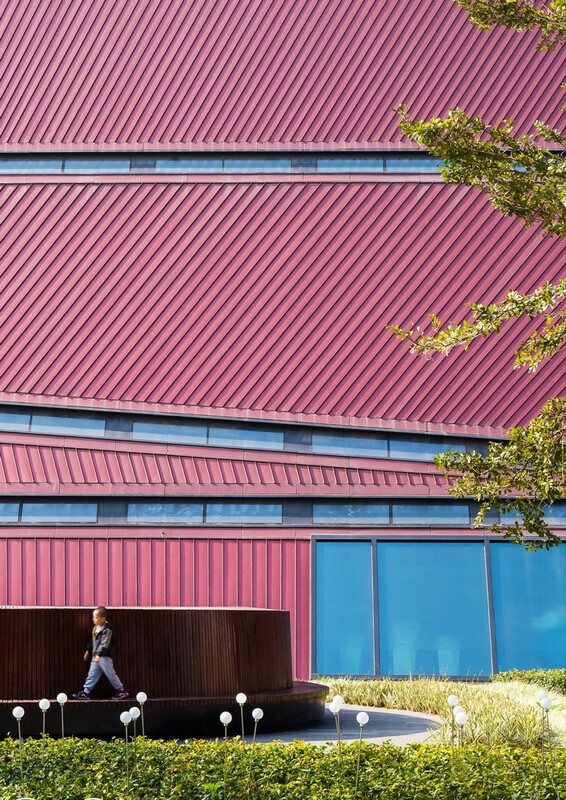 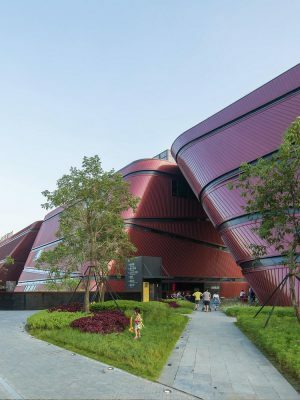 Located in the city’s eastern Longgang district, the Cultural Centre contributes a rich and varied cultural programme housed in an iconic urban connector. Sitting on a long and narrow 3.8 ha site with strict height restrictions, the building connects the surrounding areas by subdividing the programme into separate volumes. 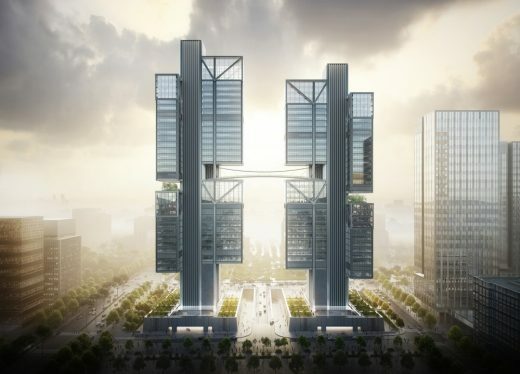 The passages between these buildings, which align with the adjacent roads, provide access from the new business district on the west side of the building to the park on the east. The volumes all have curved edges and tilting facades, which frame dynamic views, shelter public squares and naturally guide pedestrian flows. 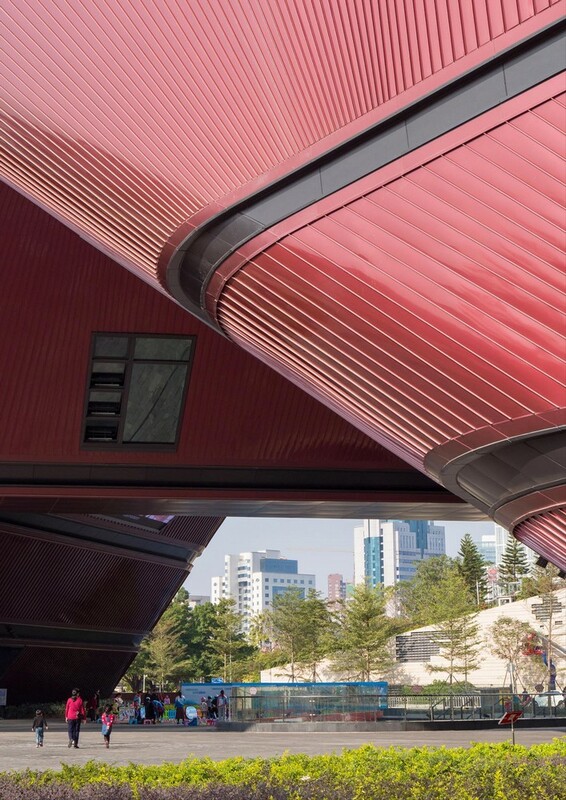 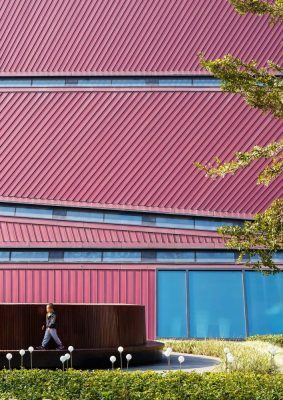 The fluid forms also channel air currents and provide protection against the sun and rain in Shenzhen’s subtropical climate. By sharing the same formal language, height and material, the volumes form a visually cohesive whole without an apparent front or back facade. 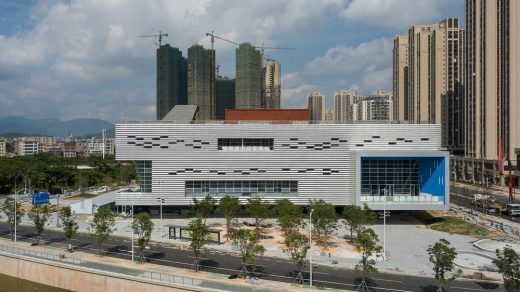 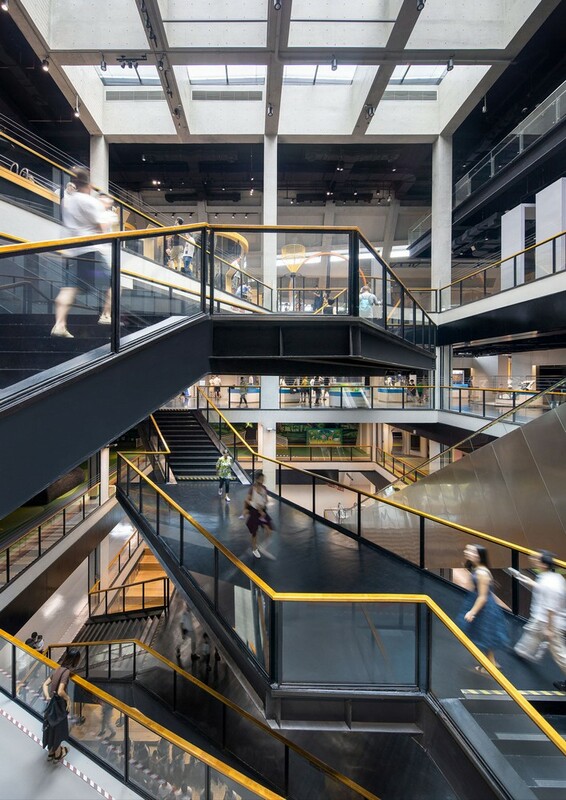 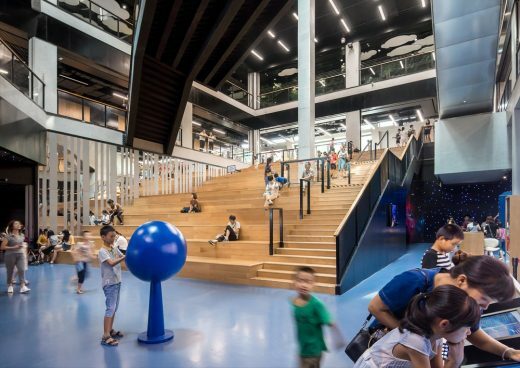 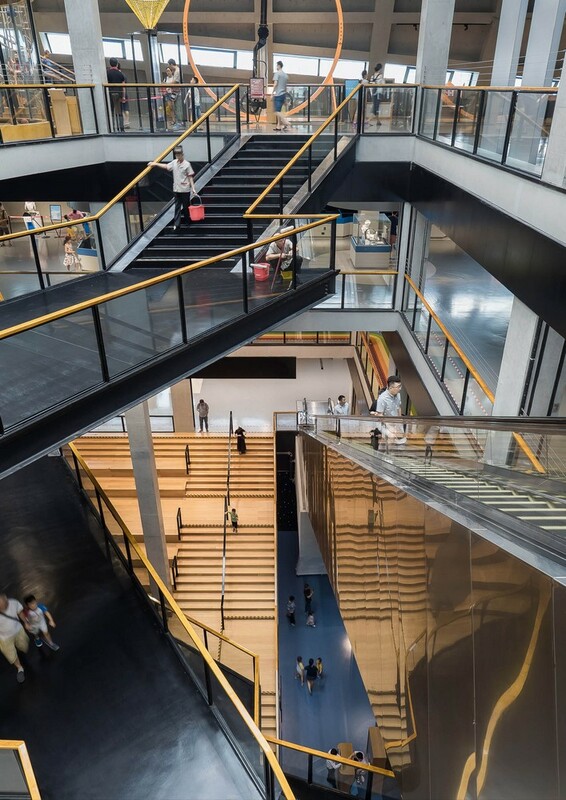 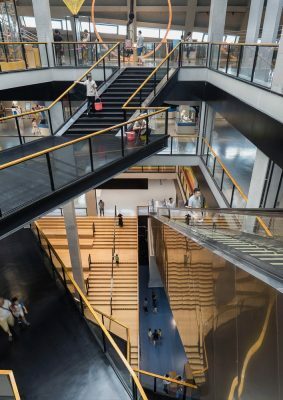 The Longgang Cultural Centre has four main programmatic elements: an art museum, a youth centre, a science centre and a book mall. 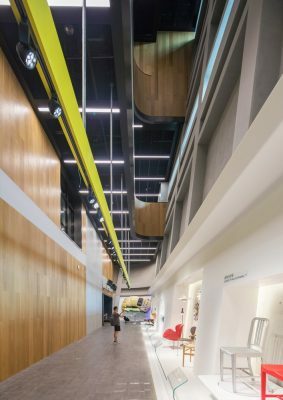 The science centre focuses on popular science for children and young adults. 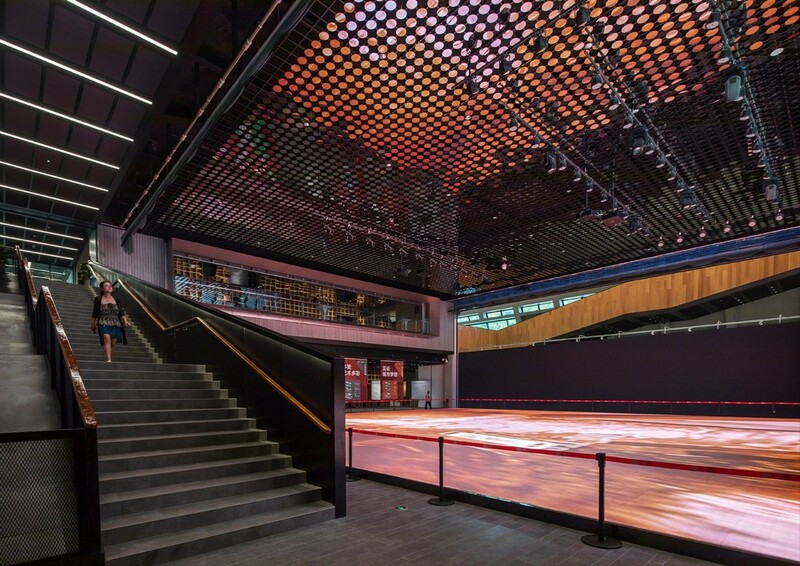 Next to it, the youth centre offers a place for meeting and extracurricular activities such as music and sports. 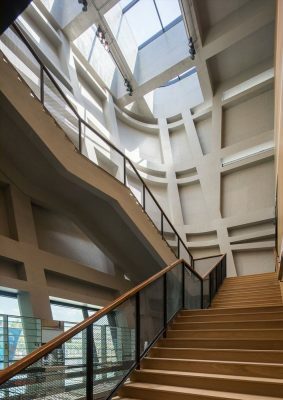 The art museum combines public arts on the upper floors with an urban planning centre on the ground floor and in the basement. 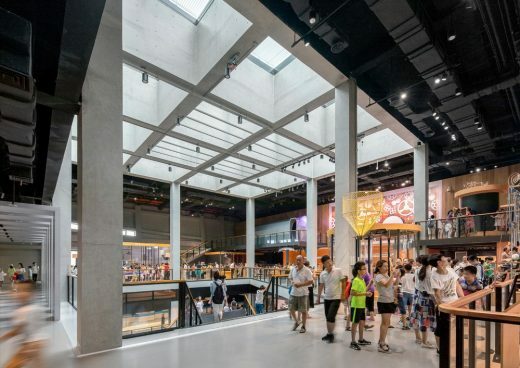 By locating the entrances to the cultural centres at the covered squares, the various cultural programmes can extend outdoors. 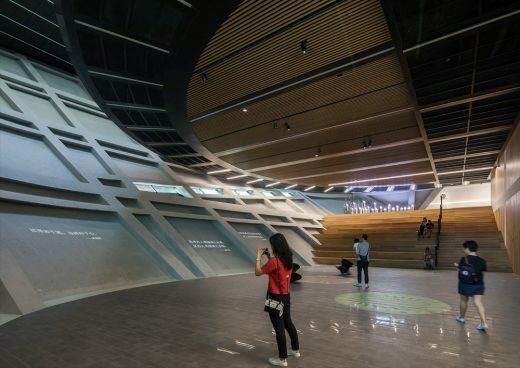 The largest of the four volumes contains a “book mall” – a mall exclusively for books and book-related events such as book-signing sessions, book launches and exhibitions. 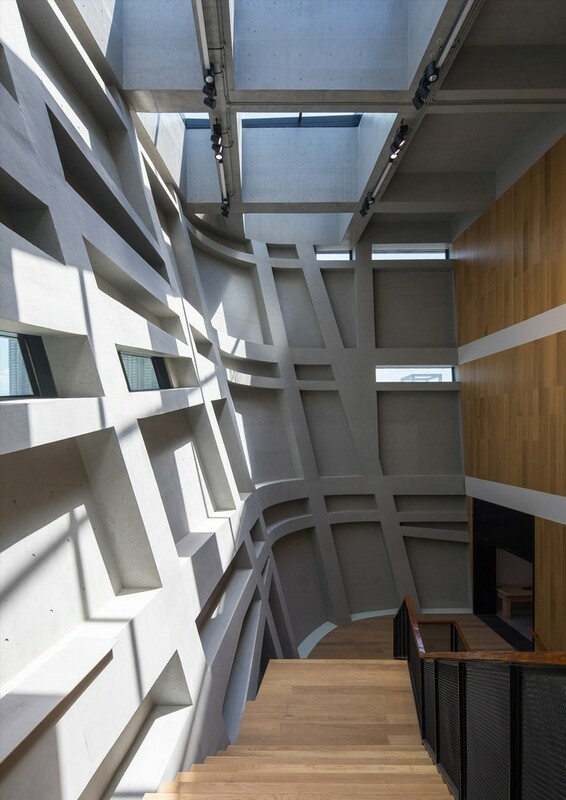 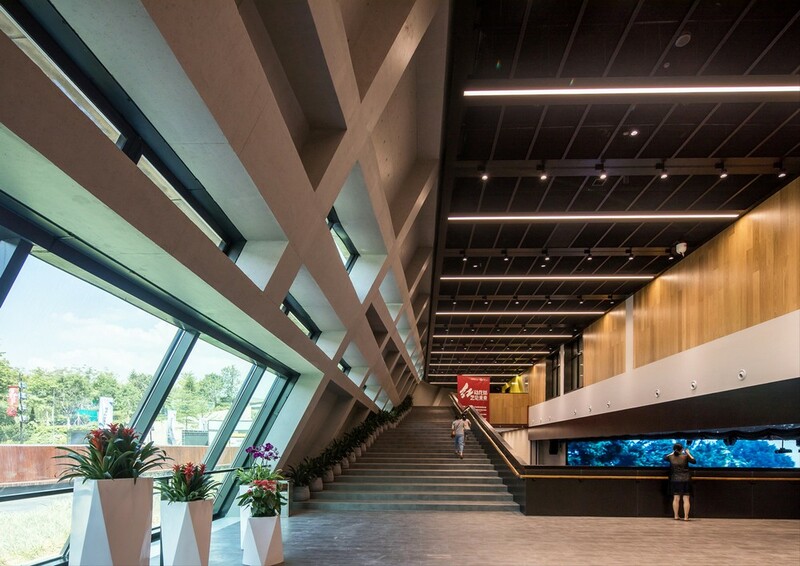 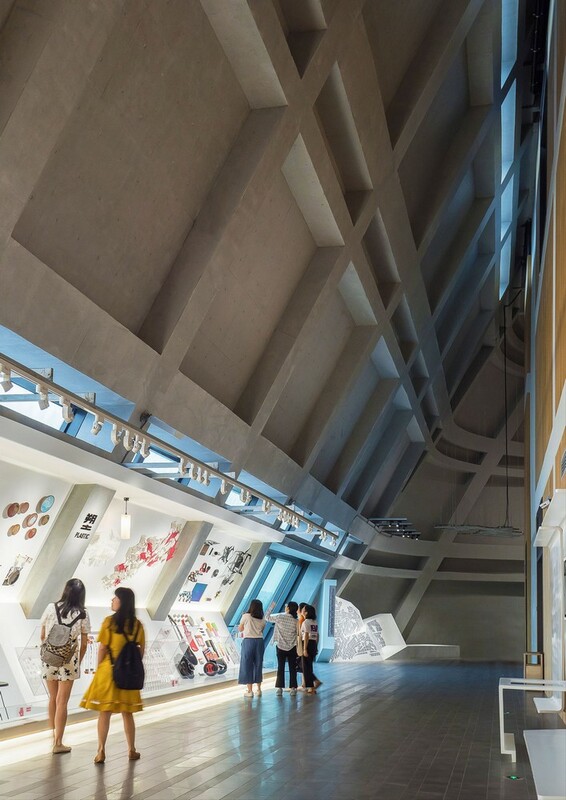 The in-situ concrete structure was carefully designed to become part of the visitors’ experience; wandering through the building is like viewing a cast concrete sculpture from the inside. 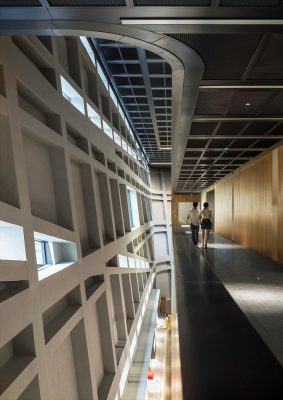 The structural facade of each volume integrates beams, columns and massive concrete cores, resulting in a building where everything is revealed. The full-height tilted interior spaces at the edges of the volumes become architectural highlights where the visitor can experience the impressive scale of the construction elements.